Fry, C.H., K. Fry, and A. Harris. Kingfishers, Bee-eaters and Rollers. Halfway House, South Africa: Russel Friedman Books, 1992. Sibley, C.G., and J.E. Ahlquist. Phylogeny and Classification of Birds: A Study in Molecular Evolution. New Haven and London: Yale University Press, 1990. Woodall, P.F. "Family Alcedinidae (Kingfishers)." 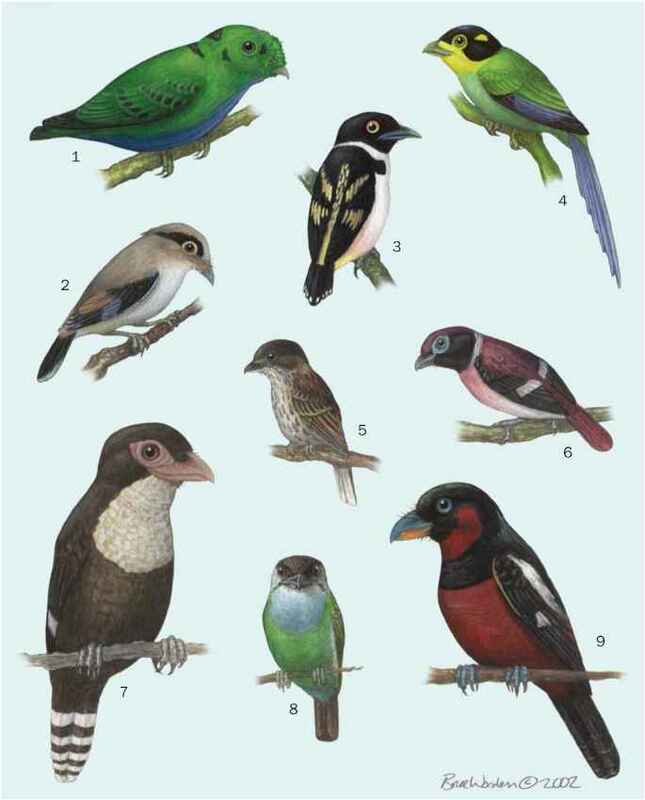 In Handbook of Birds of the World. Vol. 6, Mousebirds to Hornbills, edited by J. del Hoyo, A. Elliott, and J. Sargatal. Barcelona: Lynx Edicions, 2001. Fry, C.H. "The Evolutionary Biology of Kingfishers (Alcedinidae)." Living Bird 18 (1980): 113-60. Fry, C.H. "The Origin of Afrotropical Kingfishers." Ibis 122 (1980): 57-64. Kingfishers (Aves: Alcedinidae)." Journal of Zoology, London 233, no. 1 (1991): 79-90. Coraciiformes Taxon Advisory Group. <http://www .coraciiformestag.com>. Not threatened; locally common, although in 2001 population densities decreasing due to habitat destruction.